Description Thunder Cross Racing is now available as a brand new Unity 3d racing game. This game has really stunning graphics and has all you want. You can choose between different vehicles like a Big Truck, Indycar, Snow MPV, Outstanding Buggy or a Rally Truck. There are also different circuits you can drive on. While driving you have to collect the blue tanks so you can use nitro with the space bar. This is the way how to win the game. Try all tracks and vehicles and play this game the next few hours. You will love it. 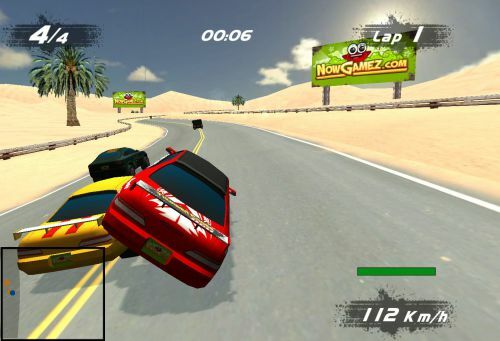 Controls Use arrow keys to drive the car. Use space bar for extra nitro. Reset car with 'R', pause game with 'P', mute with 'M' and help with 'H'.